Saving money is something we all strive to do and is certainly essential in every household. From cutting down on purchases and being a bit more frugal across the board, saving money is simply a part of everyday living. With this concept in mind, the folks here at M&A HVAC Services, LLC want to remind our valued clients that investing in preventative maintenance for your furnace and HVAC system is indeed a surefire way of saving money as well. When you take advantage of our superior Hendersonville HVAC products and services, rest assured you are taking steps necessary to ensure the functionality and peak performance of your furnace, thereby alleviating the need for additional repair costs throughout the year. The professionals here at M&A HVAC Services not only provide superior products and services to our many valued clients, but we also take a great deal of pride in affording our clients the insight needed to save money by way of effective and efficient preventative maintenance programs. We have a wide range of programs to choose from, which can be customized to suit your individual needs and your budget. We offer affordable prices, premier products and services, and timelines that are accommodating to your schedule and personal demands. Open weekdays, Monday through Friday, from 8:00 am to 5:00 pm, our experienced technicians and consultants stand ready to serve you. Whether you are in need of routine maintenance, looking to invest in a customized preventative maintenance program, need system repairs or just some honest straight forward advice, we are the team for you! 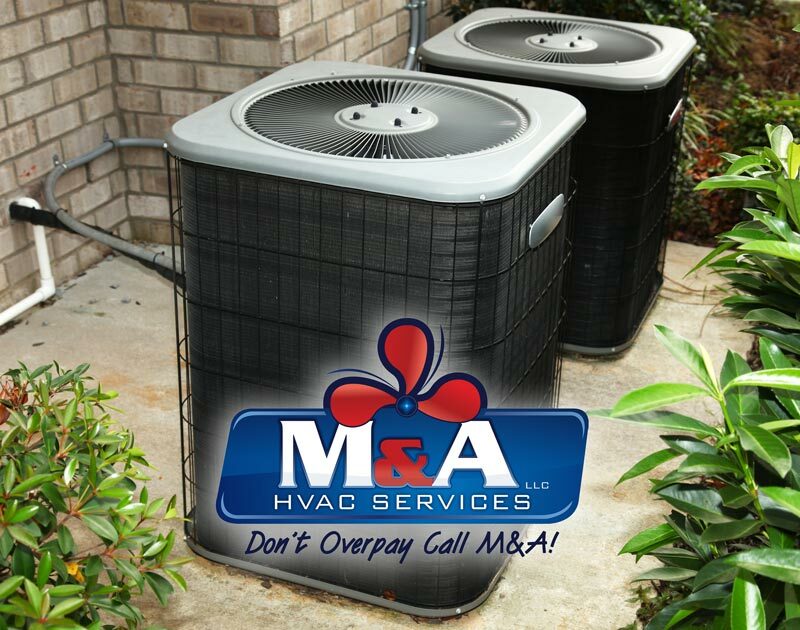 Here at M&A HVAC Services, LLC you are our #1 priority. We strive to deliver products and services that are unmatched by any of our competitors and are proud of our high customer satisfaction ratings as well. Located right here in Hendersonville and proudly serving not only the Hendersonville area, but also Brentwood, Madison, Goodlettsville, and Gallatin, our team is just a mere phone call away at (615) 645-2686. Winter has certainly made its presence known, so don’t delay. Take time out now to contact our team and schedule your appointment today. Our consultants are on hand to answer all your questions, address your every concern and help you in choosing the ideal Hendersonville HVAC preventative maintenance program for you. We look forward to serving you and send along wishes for a safe and Happy New Year! !